This New Saginaw Style Power Steering Pump Kit for 66-77 Classic Ford Broncos with 351W Engines includes the power steering pump, pulley, bracket, power steering pump v-belt and high & low pressure power steering hoses. This power steering pump kit is for the 351W engine and includes the necessary adapter bracket to relocate the pump on the Windsor block. This setup does not include the pump tensioner bracket. 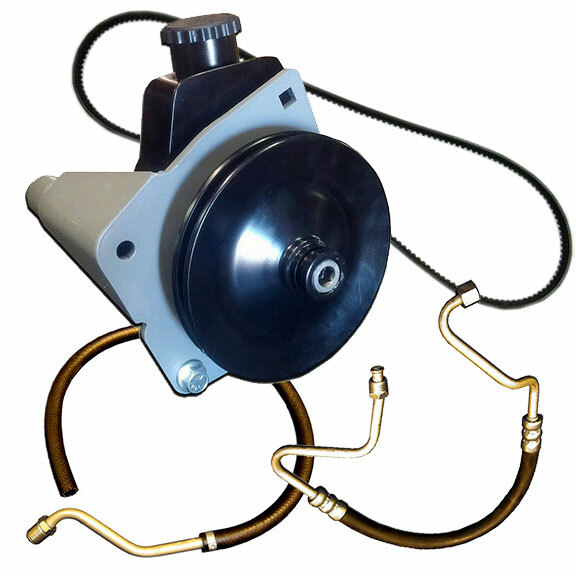 The tensioner bracket is sold separately or this pump system will also work with the factory tensioning bracket.